You can commission a painting created just for you, or to give as a gift to a loved one. It’s easy to do. By working with me, you’ll get museum-quality art that is the exact right size and colors for your space. You’ll also get the subject, mood and feelings you want the painting to evoke. I love working with collectors to design custom artwork, and specialize in paintings for new homes and remodels. My goal is to absolutely delight you with your custom painting. If you’d like to commission a painting, I offer a free consultation on the best size, colors and subject for your room – with an in-person visit, or by phone/email/jpg. Feel free to bring your ideas based on a favorite place, cherished memory, or favorite nature subject. Also, you can get ideas from taking a look at my latest nature paintings and from my earlier works. 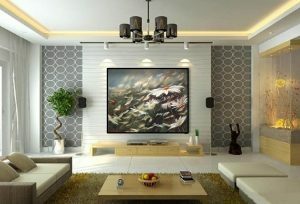 Custom paintings are usually priced in the range of $3,000 – $15,000, depending on size and subject. All purchases come with a 100% ‘Absolutely Thrilled’ guarantee. You only need to take the completed painting if you are thrilled with it. Want to see what other people are saying? Collectors of my work are happy! Read their testimonials here. There are typically 3-6 custom paintings in progress. Wait lists are common. Email holly@hollyvanhart.com (or call 650 646 5590) for info.